One of the greatest investments that you can make as a citizen of Boynton, Florida is a highly customized driveway gate or fence. Aside from protecting the ones you love the most, the perfect driveway gate turns heads around the neighborhood, display a signature sense of style and craftsmanship. Fence Builders Boynton has outfitted both residential and commercial customers with one of a kind driveway gates for the past 10 years. Our team of certified driveway gate installers, designers, researchers, engineers, and customer service specialists knows exactly what it takes to build a product that protects against invasive wildlife and home intruders. You can rest assured knowing that your property is password or remote control protected. We offer our gates in manual and automated versions, allowing the consumer to choose exactly what he or she wants through every step of the process. Our 5-star rating is boosted through our innovative use of materials, which expands our catalogue farther than anybody else’s in the driveway gate installer industry. Fence Builders Boynton uses state of the art procedures to develop unparalleled quality at an affordable price. We strive to serve the Boynton community by allowing businesses and homeowners to invest in only the best gates and fences around. Our warehouse, conveniently located in downtown Boynton, is home to materials and components that have been sourced from all around the country. Our supply chain experts supply our talented contractors and driveway gate installers with the best for less. 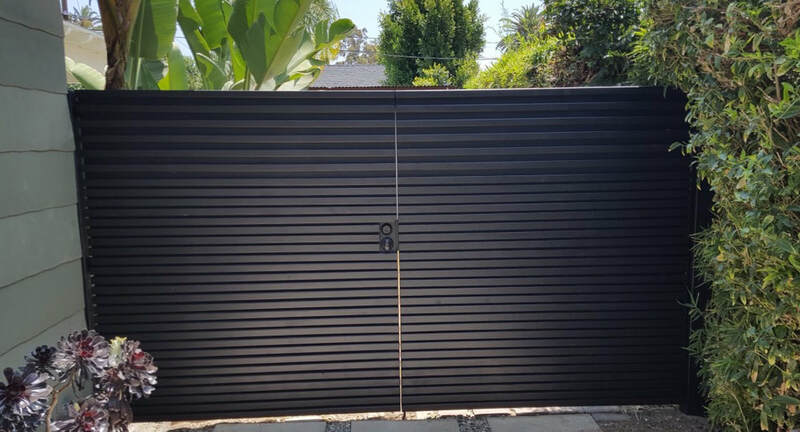 For those looking to invest in a personalized metal or wood driveway gate, we offer an intuitive design software program that turns your personalized driveway gate dream into a reality. We take you through every step of the way, allowing you to make the big decisions – our process matches your budget and schedule to the optimal plans in our catalogues. Our long list of referrals proves that we make some of the best metal driveway gates in the state of Florida. Each gate or fence installation begins with an accurate analysis of both the inquiry and the customer’s property. It is important for us to streamline the measurement process in order to quickly install your driveway gate or fence. Through our many hours of field-testing and contracting experience, we have created a system that is quick, safe, and easy. Our engineers excel in providing quality that doesn’t get in the way of your daily home or company life. We offer an entire catalogue of base driveway gate installation models to get you rolling in the right direction. Our most popular driveway gate style is our gothic point picket gate. These gates are very easy to modify and adjust throughout the entire engagement, allowing you to add initials or even a personalized image. All of our automated driveway gate installations come standard with repair and maintenance packages. These warranties help extend the longevity of your new investment, pairing you with an engineer that conducts routine check ups and inspections for up to 5 years after your installation.